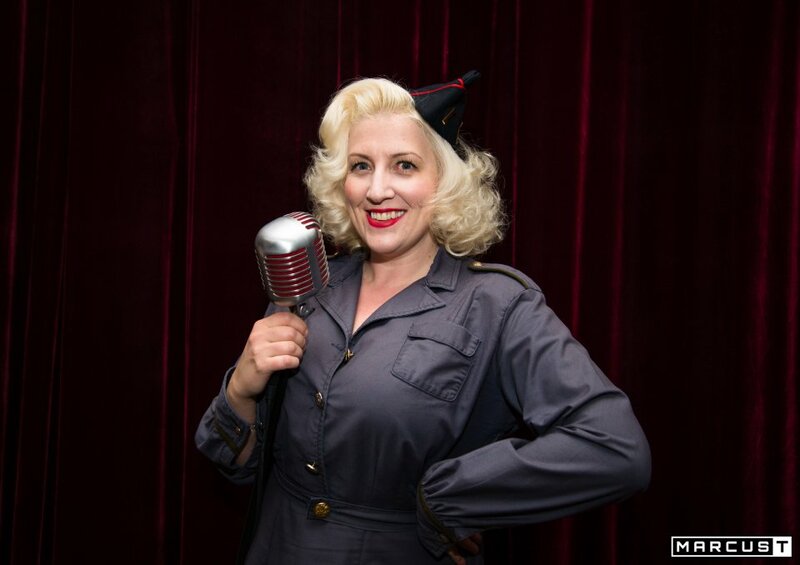 A truly authentic 1940s cabaret act that includes comedy, audience participation and is ideal for small-medium crowds for that intimate feel. 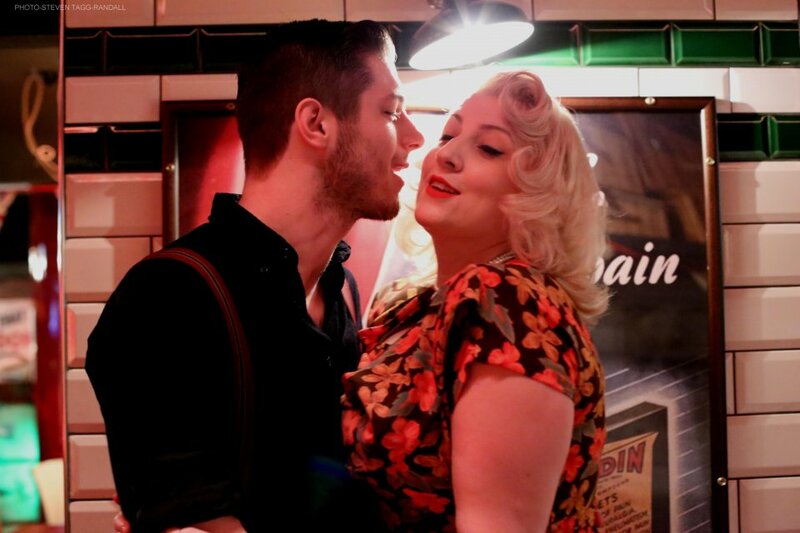 A Forties Dame will have everyone laughing and crying with her beautiful voice and comedic banter. 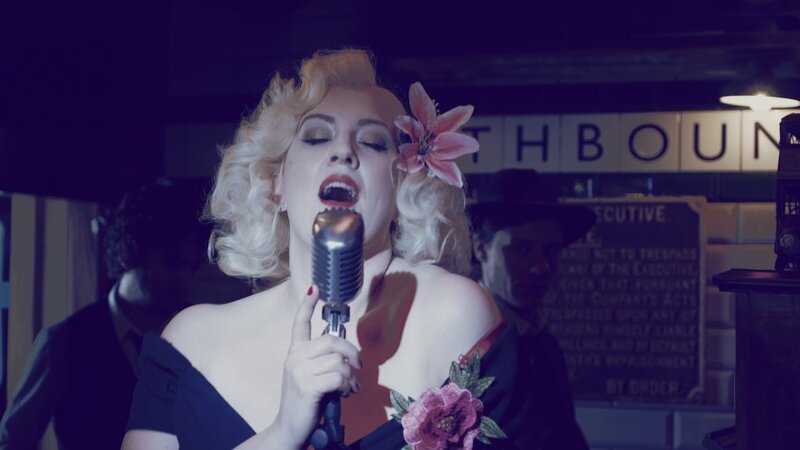 Also available with her amazing 4 piece band for a jazzier, more sultry show. 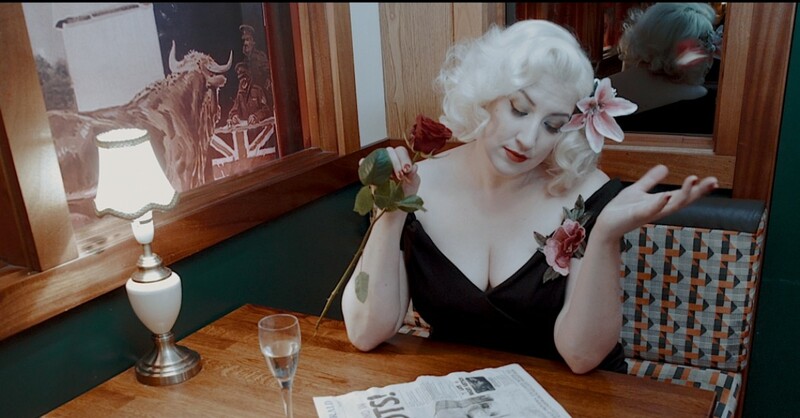 Think Sophie Tucker or a 1940s Bette Midler! "A Forties Dame is a tour-de-force of entertainment. 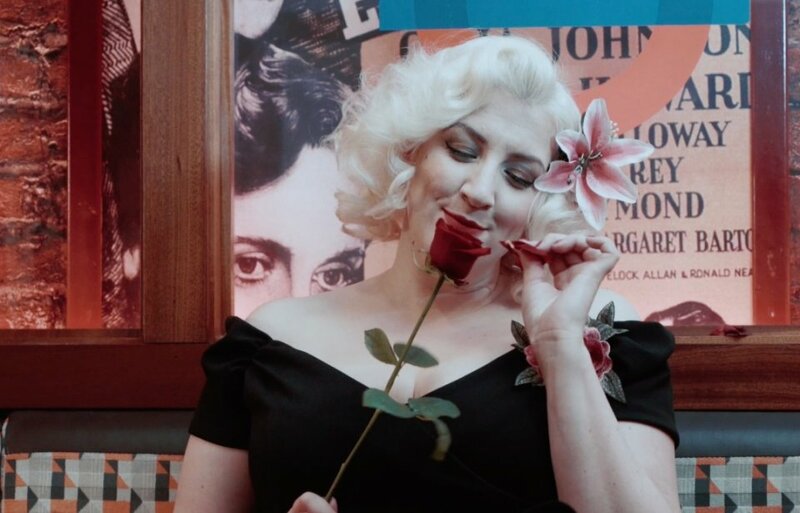 Stunning, hilarious and fantastically talented, without fail she has the whole room enraptured in her brassy, flirty in-your-lap performance. I cannot recommend her highly enough." Olly Draper - Cahoots London. Gee Baby, Aint I Good to You? How D'ya Like Your Eggis in the Morning? 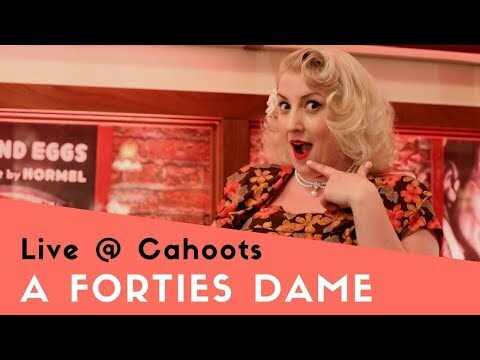 A Forties Dame is one 3rd of a sucesssful close harmony trio Femmes of the Forties who have performed at HMS Belfast, Twinwood Festival, The Victoria & Albert Museum, Goodwood Revival and Ronnie Scotts to name a few. 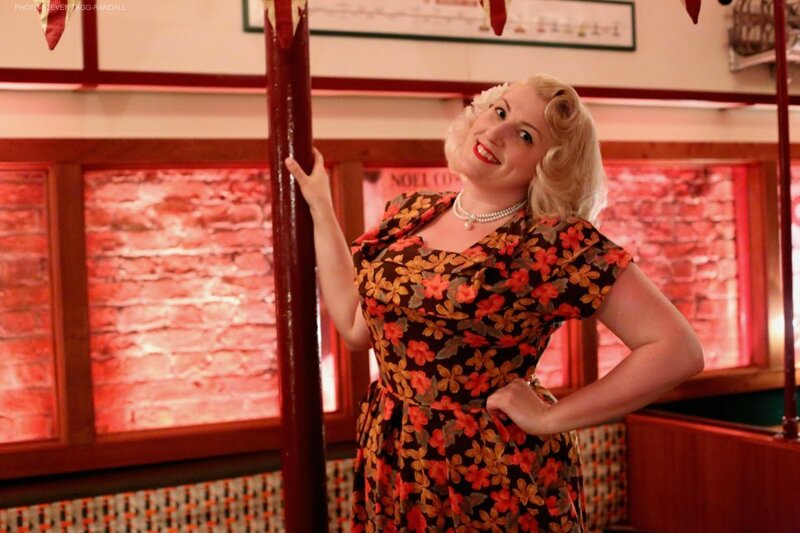 She is no stranger to entertaining and being the comedienne of group this sharp witted broad has branched out on her own to offer her very own unique solo cabaret act. She will have you on your feet dancing and singing and if you don't come to her she'll come to you and is even known to sit on the fellas laps and serenade them. 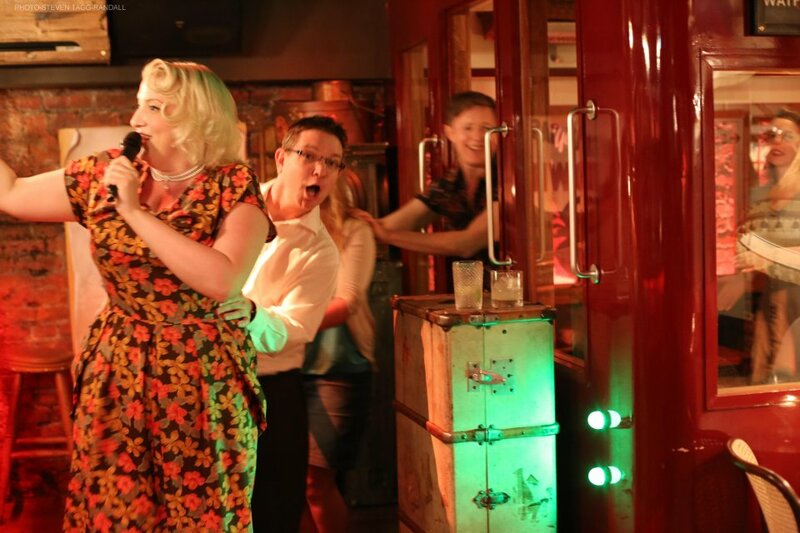 Expect audience participation, classic songs from the 1940s and lots of laughs. You will also end up riding on your own Chattanooga Choo! A professional singer and musician for 15 years, A Forties Dame has had both West End, film and TV performing experience. As well as this she has been fortunate to perform at prestigous music venues around the world with various acts so rest assured you will be getting a true professional! 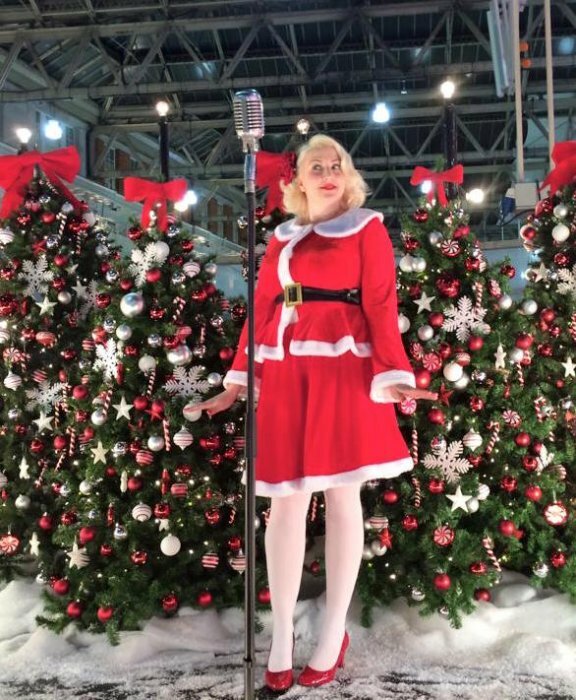 A Forties Dame also does a vintage Mrs Santa act which incorporates the above and some classic Christmas Songs with her own unique twist. Excellent entertainer, got the whole of the audience involved. Really a good act I would have her again. Anna was fantastic! - We loved her and had great feedback from our guests. Thanks. A fantastic singer who really set the atmosphere and gave us quite a few laughs, not to mention a great singer. All in all a brilliant way to spend an afternoon. Tip top. Do you bring all of your own equipment? Yes, I come by car and can provide a full PA system, vintage mic and radio mic for the cabaret sets. What does the guide price include? It includes 30 minutes of background music (if required), 2x30-40 minutes of cabaret (or 1 hour straight) and 30 minutes of music in between sets and after, if needed. It also includes providing all of my own equipment. Should you have a PA system already the price would be less. Do you offer a selection of outfits? Yes I have a selection of vintage 1940s style dresses as well as American uniforms such as WASP overalls and Nurses Corp (see pictures). Can you play 1940s music before, after and between sets? Absolutely I have a fantastic selection of music. Can you perform with a live band? Oh yes and they are fantastic. I usually perform with a 4 piece but do have a larger band if necessary. Please ask for a quote. 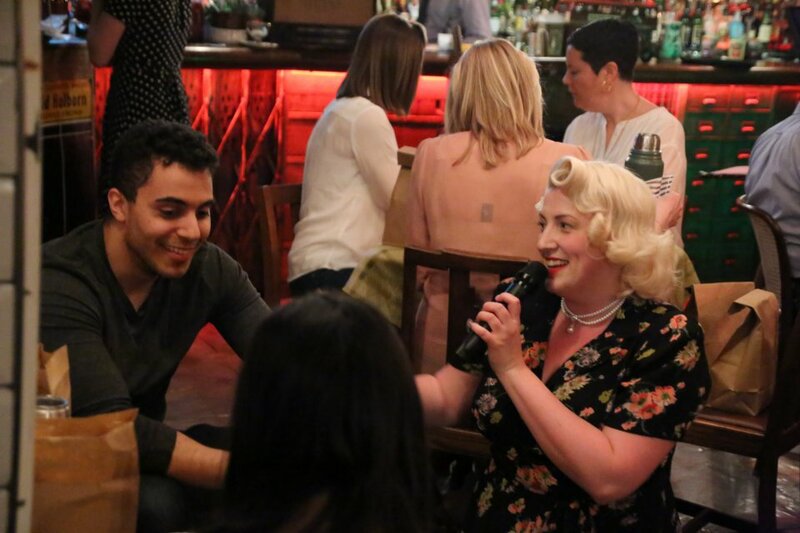 Yes my show is based around comedy and audience interaction, I like to meet and interact with everyone in the room as much as possible and get them totally involved in the show. 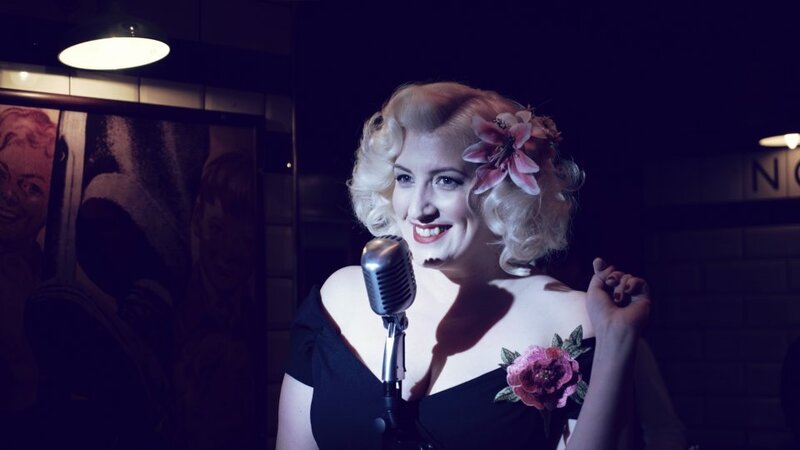 It is very much a comedic cabaret act as well as me singing fabulous songs from the 1940s. Yes, providing the song is from the era I am happy to learn a song of your choice or 'pick on' a specific member of your group to serenade. All I need is access to power and an area to set up my equipment as well as a car parking space. If it is an evening performance, a hot meal would be most welcome. Are you a family friendly act? The act is very cheeky, depending on the audience but if you let me know whether children will be at your event I can tailor it a little more to them and make it less risque. Are we able to use your equipment for speeches? On most occassions this is fine, but this would have to be arranged in advance and may incur an additional charge. 2 x 30 minute cabaret set is advised but can do 1x1 hour or less if required. Can also offer a background music (just singing) behind a vintage mic option if required. Can also DJ 1930s and 1940s music before, after or inbetween sets. 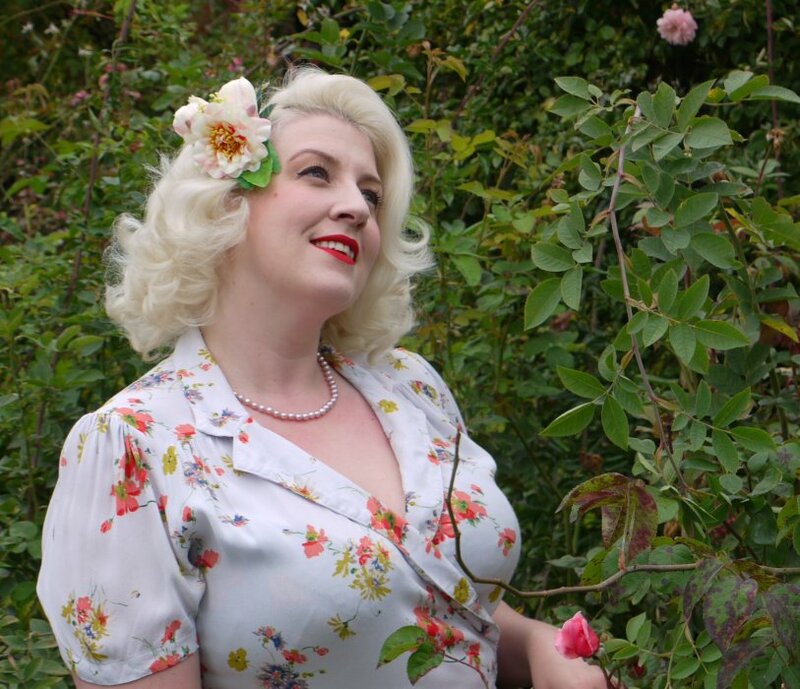 Customers who have enquired for A Forties Dame have also been interested in the following Vintage Singers available in the South East and UK wide. For more information or further options, please call 0845 643 9384.